The controversy over the number of staffers the current government has engaged under the Presidency is unrelenting as the Minority in Parliament dispels claims that although the John Mahama administration engaged fewer employees, it spent more. While justifying the 998 staffers working under the current Executive, Information Minister, Mustapha Hamid, said the Nana Akufo-Addo’s government is operating with a leaner budget than Mahama did. “Our list, for example, is a little above the President Mahama list but if you look at the budget for office machinery under President Mahama it is way above our budget. “For 2017 they had about ¢3 billion but we came in 2017 with about ¢1.5 billion,” the Information Minister argued on Monday. However, in a statement, the Minority said the Information Minister’s claims are totally false and were made in a desperate effort to justify the “unconscionable packing” of the Presidency with activists of the governing New Patriotic Party (NPP). “This is especially so when official documents presented to Parliament by the same government clearly state the amount allocated to the OGM and how much was spent in total in the year in question. 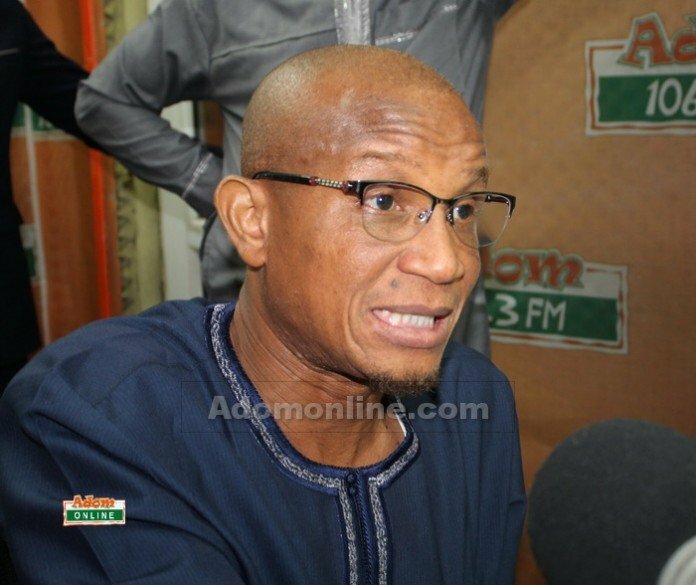 The attention of the Minority Caucus in Parliament has been drawn to claims by Minister of Information, Mustapha Hamid, to the effect that the Office of Government Machinery (OGM) was allocated GHS3 billion in 2016 as against GHS1.5 billion under President Akufo-Addo in 2017. We have also noted a publication in the New Patriotic Party’s ‘Daily Guide’ newspaper, that the Office of Government Machinery overrun it’s budget by about GHS 3 billion after it had been allocated GHS 3 billion in 2016, bringing total expenditure to GHS 6 billion. We wish to state that these claims are totally false and were made in a desperate effort to justify the unconscionable packing of the Presidency with activists of the NPP leading to the submission of a list of 998 Presidential staff and evade the intense public anger that has greeted the publication of the list. The claims, false as they are, also betray an uncanny lack of thoroughness and attention to detail on the part of the Information Minister in particular and the government he speaks for in general. This is especially so when official documents presented to Parliament by the same government clearly state the amount allocated to the OGM and how much was spent in total in the year in question. The above quote shows clearly that the Minister of Information peddled a blatant untruth when stating that GHS 3 billion was given to the OGM in 2016. This also belies the claims of the ‘Daily Guide’ in respect of the overrun for 2016. It stood at GHS587,470,165.23 and not GHS3 billion. We also wish to draw attention to the fact that the budgetary allocation for the OGM in 2016 also covered the National Security Secretariat(NSS) and its allied agencies unlike the GHS 1.5 billion allocated under the Akufo-Addo government which did not include the budget for the NSS. A separate allocation of GHS 325,878,659 was made for the Ministry of National Security, under which the National Security Secretariat and it’s allied agencies fall, in the 2017 budget estimates .This means that the allocation to the OGM and the Ministry of National Security under President Akufo-Addo was about GHS 1.9 billion as against GHS 719,108,911 under President Mahama. The overwhelming evidence above, puts it beyond doubt that the claims by the Minister of Information were uninformed, hasty and diversionary. Consequently, we challenge him to produce evidence of his claims failing which he should render an apology to the good people of Ghana or resign his position. We are aware that the Akufo-Addo government prefers to use subterfuge and falsehood to wiggle it’s way out of the multiple scandals that have rocked it, instead of approaching issues of governance with candour and respect for the citizenry. We urge the media therefore to be wary of information emanating from government and undertake a thorough scrutiny of same to avoid being used as unwitting conduits in the spreading of falsehood to cover up for the shambolic performance of this government.